Somebody posted this on Rammstein's facebook page, a couple of weeks ago. (Similarly, some people may have seen this floating around somewhere). A lot of my friends (not to mention Rammstein fans) were excited to hear this. It was only today, after enquiring in my local games store that i discovered it was an April fool. (I have never fallen for one of these until now, btw). Apparently they had received a lot of enquiries about this title but they had heard nothing about it from their distributors. I didn't realise how excited I'd gotten over this until then, when I became crestfallen. I had even resolved to get a guitar hero controller for my PS3 (I used to have one for my wii, but my wii bust). I know a lot of people would love this title, and while they may not have have been the chart toppers of some of the other bands to be given their own special edition discs I really think this would sell. 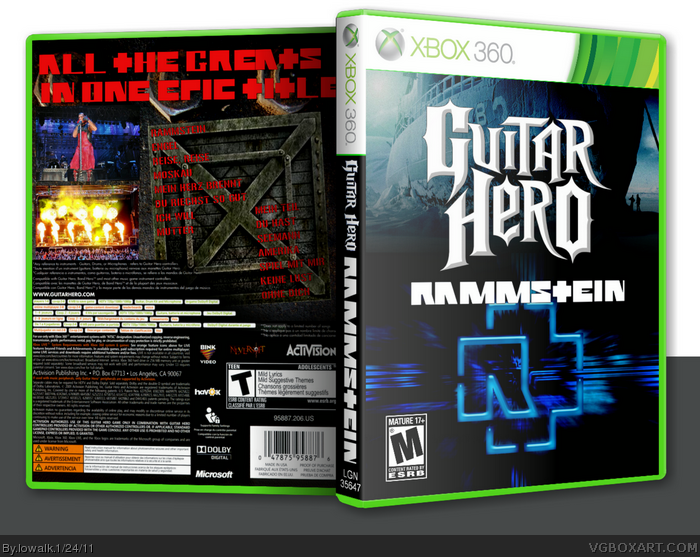 To put this into perspective; I was actually resolved to buying a new guitar hero controller just to play this.